New York, USA - February 2007: Over the years, mastering supremo Scott Hull has moved to various different facilities and each time the one piece of equipment that has moved with him is his Prism Sound audio converter. "I have always insisted on Prism Sound converters and I know that if I didn't have them I'd really miss them," he says. "When I moved to my own facility, Scott Hull Mastering, I knew I had to have both Prism Sound AD-2 and DA-2 converters right from the start. To my ears, they are what good mastering sounds like: flexible, wide, dynamic, and not coloured in any way. They seem to disappear into the chain, which means they work for me rather than me having to work round them." Scott Hull's mastering career reads like a Who's Who of the rock and roll business. After starting out with Bob Ludwig in 1984, he soon became Ludwig's assistant and digital editor at Masterdisk in New York and immersed himself in the trade. In 1993, when Ludwig opened his own facility in Maine, Hull took over as IT specialist at Masterdisk and spent the next 15 years mastering legendary projects such as Donald Fagan's Kamikirad, as well as some highly influential records like Garbage 2.0, Shaun Mullins' Lullabye, and Spacehog's In The Meantime. "Bob Ludwig was a wonderful teacher and mentor. He showed me the humanity of mastering and taught me to rely on my ears when in doubt," Hull says. "But after 15 years at Masterdisk, I decided it was time to strike out on my own. I moved my operation to Classic Sound, assembled my own room full of analogue and digital mastering gear and mastered Grammy winner Steely Dan's Two Against Nature and John Mayer's Room For Squares. It was a wonderful time in my career and taught me those things you can only learn in a trial by fire situation." On Hull's recommendation, Classic Sound invested in Prism Sound converters and Hull used them to give his signature sound to many other major label and independent records, as well as a host of influential Jazz and contemporary music recordings, singer songwriter projects and world music. Eventually, Hull's talents were spotted by Troy Germano and he moved to The Hit Factory, where he stayed until it closed in 2000. 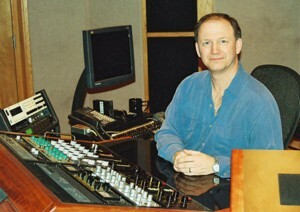 During his tenure, Hull mastered the works of many artists including Amy Grant, Skillet, Edie Brickell, and John Zorn. Once again, Prism Sound converters were in evidence as he quickly persuaded The Hit Factory to buy them. Hull's next stop was Jigsaw Sound, where he intended to stay for a while, but soon after he had the opportunity to set up his own facility in Manhattan - and the first pieces of equipment he invested in were Prism Sound Dream AD-2 and DA-2 converters. These are widely considered the definitive music A/D and D/A converters because they provide the most accurate rendition of an audio event, whether it be early music, classical, jazz, big band, a club mix or hard rock. Scott Hull Mastering is not simply another base of operations for Hull - this is his home. Set up as a full-featured, professional mastering facility, SHM is where the new class of artist goes to get the sound only Hull, with his decades of experience, can bring to a project. And with artists such as Herbie Hancock, David Bowie, John Mayer and Bruce Springsteen to his credit, it is clear that Hull not only loves a challenge, but also knows instinctively what he is doing. "Music is my passion," he says, "and I'm equally passionate about the equipment I use to create my sound. Over the years I've tried many different converters in many different rooms but I always come back to Prism Sound because I have yet to find any kind of music that they are inappropriate for." Hull's facility now includes both AD-2 and DA-2 and converters, providing an audio stream of such exceptional quality that he will be relying on them for years to come as the definitive tool for productions on CD, DVD, Super Audio CD or other formats as they become available. Both converters offer a wealth of sophisticated features as well as high-performance, multi-rate A/D conversion, making them ideally suited for the most exacting applications in sound recording, mastering and broadcast.